You received a ticket, it happens to everyone. You could attempt to have your ticket reversed in court, but that option would likely take too much time, and there’s no guarantee that you will be successful. You could pay the ticket, but you will have to accept receiving a citation on your permanent driving record. Sit through an 8-hour Defensive Driving Course in a classroom. Pay the fine and court fees but have the citation on your permanent record. Go to court and attempt to have the ticket dismissed, but it will take time, effort and there is no guarantee you will win your case. No one should have to sit through a boring defensive driving class in Garland, Texas to have their ticket dismissed, pay a fine or fight it out in court. 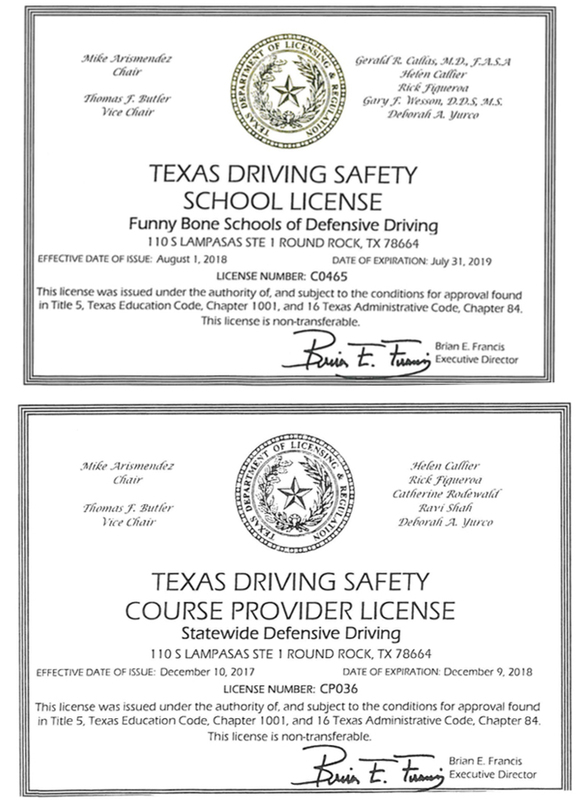 Funnybone provides an amazing defensive driving online program in Garland, Texas for anyone with a current driving ticket. We take pride in offering a convenient way for people to have their ticket resolved. Get your ticket dismissed with the best Defensive Driving School in Garland, TX. If you’re interested in getting your ticket dismissed without any hassle or gimmicks, we’d be happy to be at your service. We offer the quickest and least expensive driving course in Garland, Texas. Our defensive driving course is 100% Texas State Approved. You may qualify for a discount on your car insurance for three years. We offer an online mobile course that you can complete anywhere, any time at your own pace rather than sitting in a classroom. We know that not everyone has the time to commit to a classroom led defensive driving program in Garland, TX. Our online courses are entirely video-based, so you don’t have to spend your time reading content. 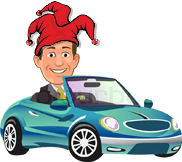 Funnybone has taken the monotony out of defensive driving by allowing you to complete your defensive driving course from the comfort of your computer, laptop, or mobile device. Our courses only have six hours of material that you can conveniently access through our online portal. We encourage you to take the class at your own pace, but be mindful that you only have 90 days to our finish our courses. we also offer the ability to order your driving record on our site. The fastest certificate delivery options including secure overnight delivery if necessary. When you enroll at Funnybone, you are taking the smartest step to have your ticket dismissed. It means that you don’t have to travel anywhere to take a course and you don’t have to endure any boring classes. Our outstanding customer service is ready to assist you seven days a week.